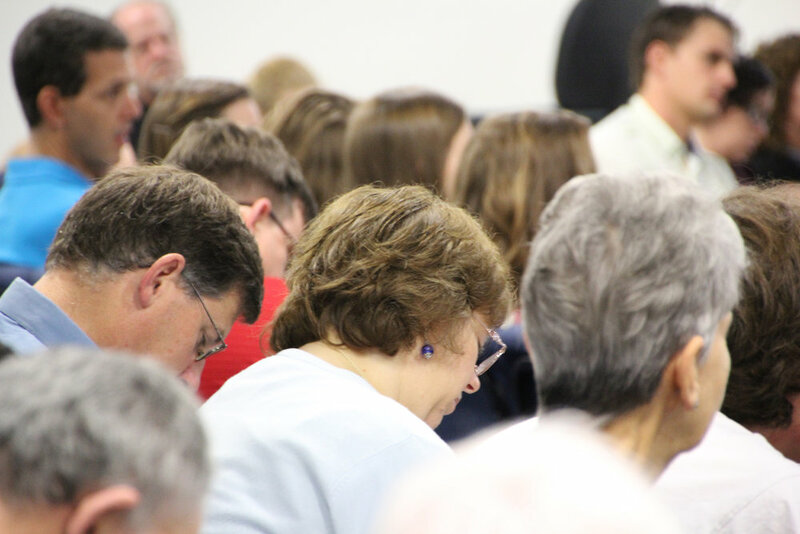 Around 170 adults and 70 children gather each Sunday for this contemporary service at 9.30am. Though the service has its formal elements, the music and style of the service means it has a modern and welcoming feel. Each week we wrestle with a passage from the Bible – what it meant in its context and what the Lord is saying to us through it today. Each week, we share communion together, recalling and celebrating all that Jesus has done for us in his death and resurrection. We’d love to have you join us for the service and then for morning tea. If you have an questions or would like more information, please feel free to contact Adam Lowe at the church office or by email. We think it’s really important to be growing as a whole church together, so children, youth, and adults share the same teaching focus every Sunday (together and in age-specific ways). 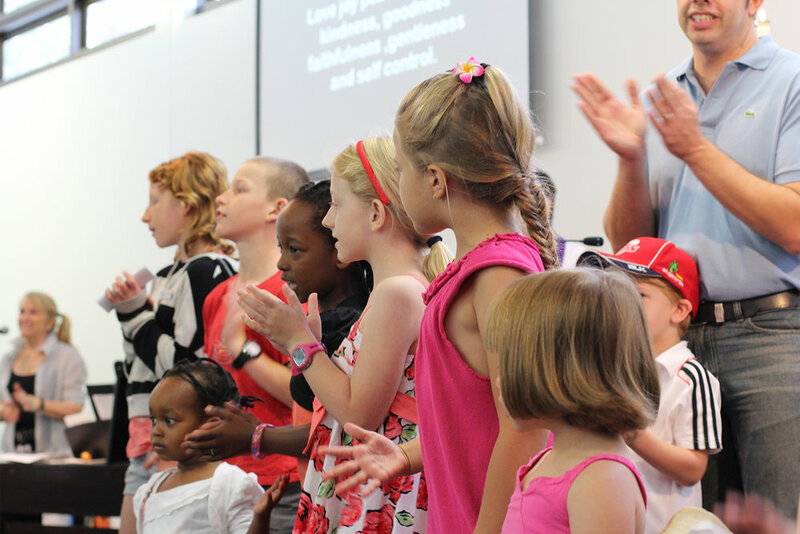 Every Sunday (including during school holidays) during the 9:30am service, St Bart's Kids offers a morning where children learn more about Jesus and the Bible through worship, prayer, study, and fun activities. Children begin with their families in the 9:30am service where they participate in worship and a Kid’s Talk before heading out to the programs offered in either Crèche (ages 1-4) or Sunday school (Years K-6). 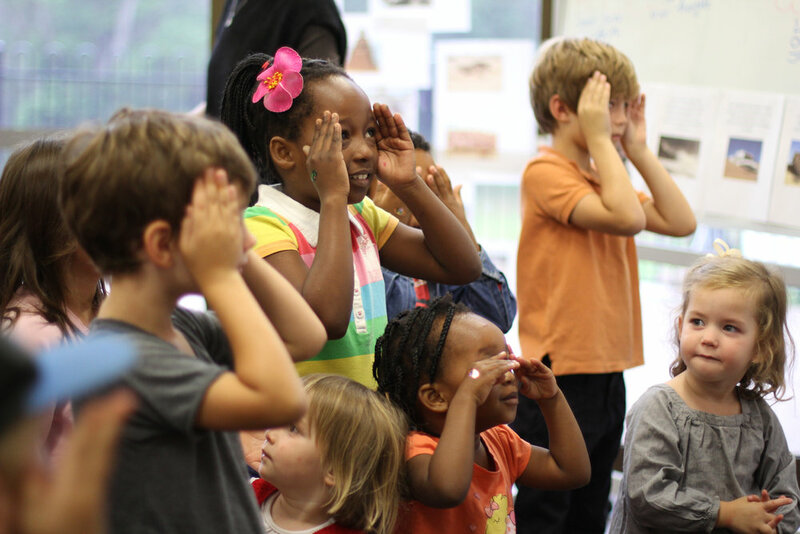 Here children participate in age-appropriate activities that are designed to match the sermon series. There is also a Parent’s Room available for those wishing to feed, settle, or calm their baby. Available every Sunday at 9:30am (check-in available from 9am). If you’ve got any questions about St Bart’s Kids, contact Bettrys Lowe by email (bettrys@stbarts.com.au). 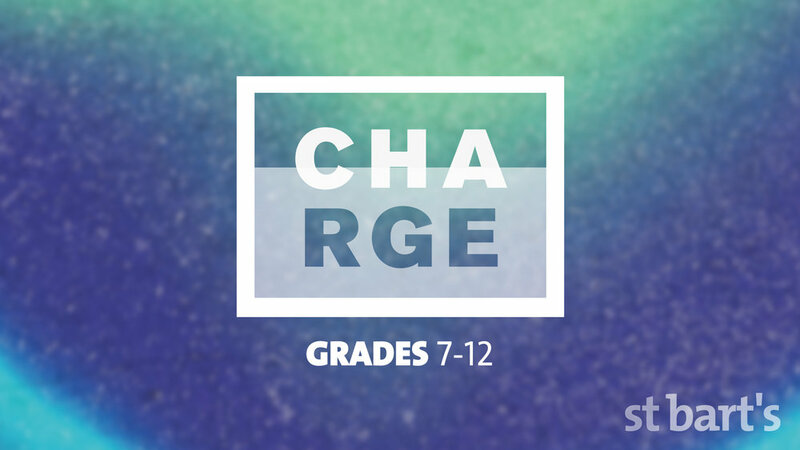 At CHARGE at 9:30, we get to take some time out after the sermon to pull it apart and really think about what was being said. We also discuss practical ways in which it can be applied to the student’s lives. It is a very relaxed environment where anyone can put their opinions or experiences into the discussion. To join in, speak to anyone in the black CHARGE t-shirts. If you would like your children to participate in crèche, Sunday School, or Junior Charge, please check them in at the desk near the front door of the church. There’s also a playground outside for children to enjoy after the service and baby-changing facilities in the bathroom off the foyer. The service starts at 9.30AM and goes for about about 90 minutes. You are welcome to join us for morning tea after the service (there’s a great playground for the children). If you would like your children to join the Kids’ programme (Crèche and Sunday School), check them in at the desk at the entrance before the service. Feel free to wear whatever is comfortable – church is about the people you’re with not the clothes you wear. An offertory is received during the service, please note that this is completely optional. Audio lanyards are available for those with hearing aids. The 9.30am Contemporary Service takes place at St Bart’s: 103 Stenner Street, Rangeville (up towards Rowbotham Street).